Teams will face one of the most difficult tasks in TAR history-----The RB in TARS6 Xi'an leg again! Someone suggest this would be FF instead of RB ,I'm not sure. Yeah it made in Mount Hua in TAR6. Leg7 they will go to Qingdao.A coastal city in China. This could be very interesting......they had scuba in the preview. I didnt see if it was racers or other people though. Where are we this ep please? Where is the scuba task, and where are they in cap 11>19?? oops, thanks weihen, missed that! Next leg I think they will go to Qingdao. (there is a link there)!!! 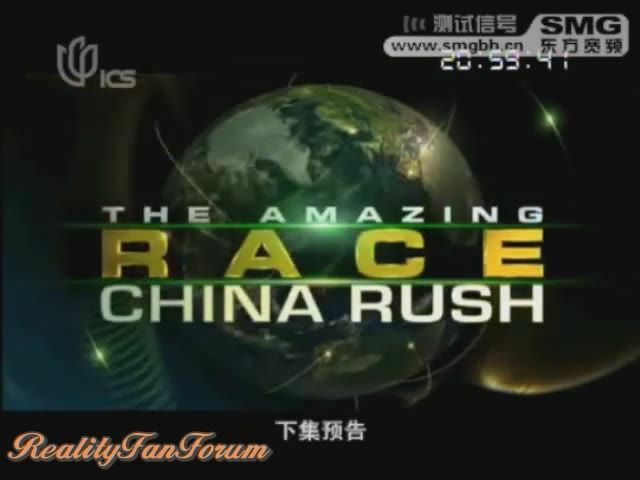 MUMBAI: Disney Media Distribution announced at Mipcom that Shanghai Media Group (SMG) renewed its agreement to produce a second season of The Amazing Race: China Rush next year. 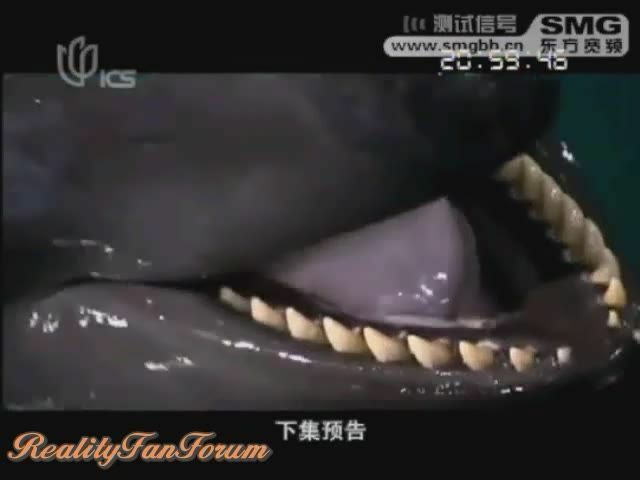 The first season aired on SMG’s International Channel Shanghai (ICS) network and did well, especially among college educated male audiences. 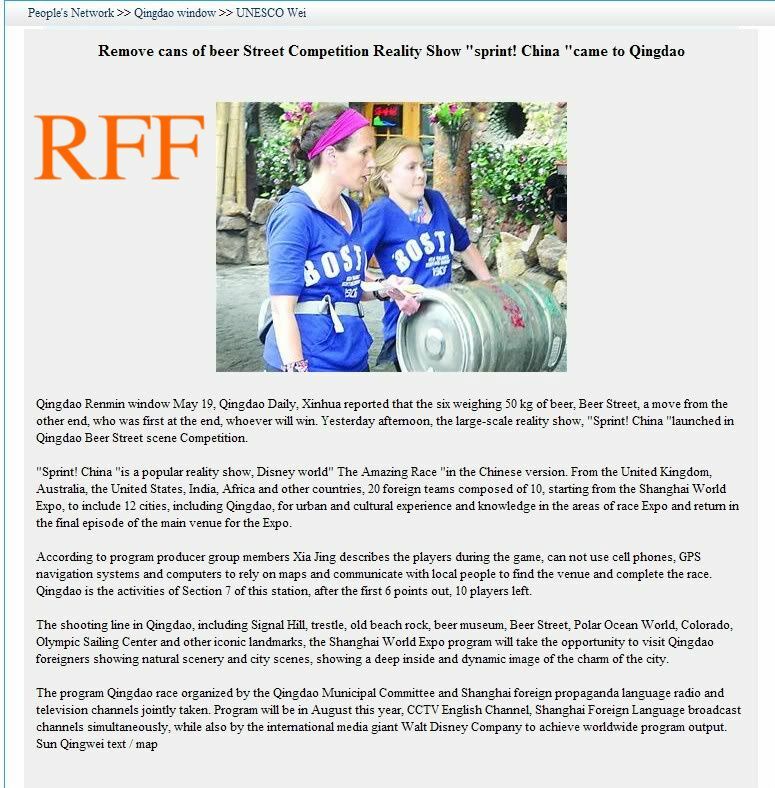 ICS executive director Sun Wei said, "The Amazing Race: China Rush is not only a successful show for the target audience, but also a mutually benefiting cooperative model. We look forward to a continuous collaboration with international media companies such as Disney." The Amazing Race brand continues to expand across Asia Pacific with the August announcement of an agreement with Channel Seven Australia to produce a localised version of the show. Australia joins China as well as other countries and regions including Brazil, Israel, and pan-Asia and Latin America in producing a localised version of the worldwide smash hit reality competition show. “The Amazing Race Asia” made its fourth season debut on 23 September across the Asia Pacific on AXN. Fans logged on to the AXN Asia website for a sneak peek of the first episode streamed online one whole week before its on-air premiere. Over 10,000 views were recorded for the online streaming.